While most fence projects are built around containing animals for safety, keeping wild pests out is an equally important factor. Most wooden fence boards are horizontally spaced a foot apart, providing more than enough room for pesky groundhogs and possums to slip through. A single groundhog can result in costly bills. Burrows reach anywhere from 8 to 66 feet long – more than enough space for a horse or cattle leg to become sprained. They can even cause trouble in fields that don’t contain animals. 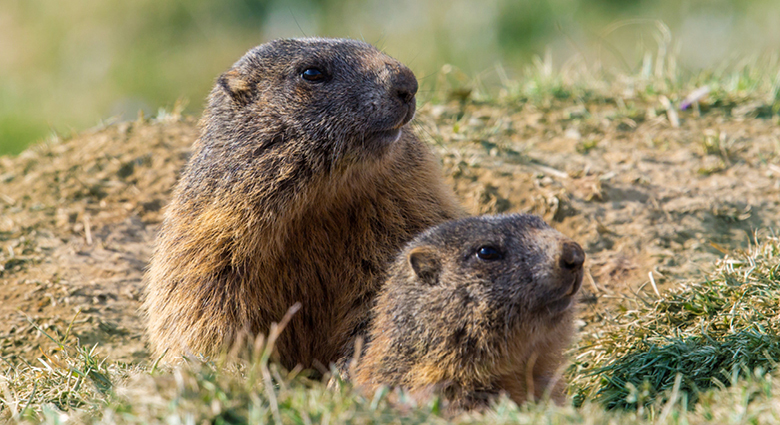 A tractor wheel driving over an unseen ground hog burrow may break an axle, causing extensive damage to the tractor. Wooden fence boards may keep your animals in, but they certainly won’t keep possums out. This is especially important for horse owners, as many horse farms use wooden fencing. The gaps in this fence allow plenty of room for a possum to slip through. The result is possibly exposing your horses to equine protozoal myeloencephalitis (EPM). EPM is spread through possum feces, causing symptoms including lameness, muscle spasms, and other neurological issues. Setting traps is one way to limit your horses’ exposure, but the best form of prevention is to simply keep possums out of your horses’ pasture, barn, and feed altogether. What’s the Best Fence Solution For Safety? While they may not look very harmful, a single groundhog or possum can result in a sprained leg or a dangerous disease. Wooden fence boards will do nothing to stop these pests, but tight, woven wires spaced an inch apart will halt them in their tracks. Therefore, safety begins with fencing around your pastures. Woven wire fence keeps your animals safe by keeping unwanted animals out. 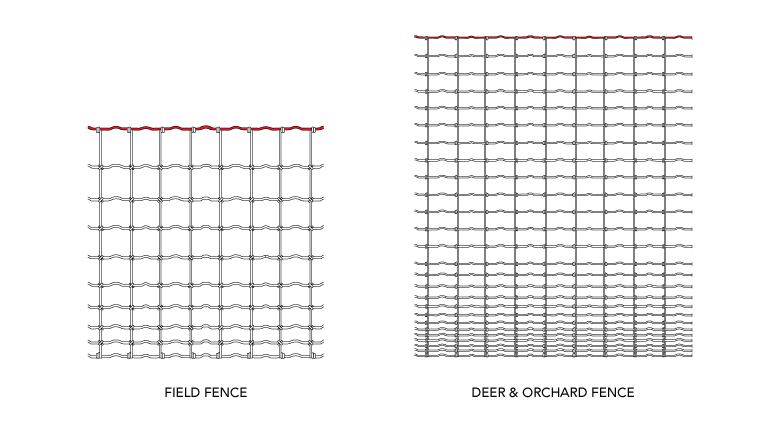 Red Brand Field Fence and Deer & Orchard Fence are both designed with small pests in mind. The horizontal wires for both fence styles are spaced close together at the base of the fence. This extra small spacing will prevent animals like groundhogs or possums from entering your field. With spacing as tight as one inch, any animal bigger than a field mouse will be hard pressed to enter the enclosure. Moving upward, the horizontal wires are gradually spaced further apart. As most small pests won’t be able to test a fence beyond a few feet off the ground, this means material is only used where it is needed most, saving you money. In addition to broken axles and injured animals, unwanted critters can devour crops. Rabbits and other wild animals can easily consume an entire garden overnight. Field Fence and Deer & Orchard fence are designed to stop these nuisances, but many other Red Brand fence products will also help keep your garden from becoming a buffet. Yard, Garden & Kennel Fence, Welded Wire Utility Fence, and even Poultry Netting have tight spacing and strong wires that stop pests in their tracks. With wire spacing ranging from a half inch to 2 inches, anything from a small tomato garden to a sprawling field can be kept safe from greedy appetites. Ready To Protect Your Property? Red Brand knows that your animal’s safety and well-being are your number one priority. That’s why you’ll find detailed product information and tips for safely securing your animals on our website. When you are ready to make a purchase, be sure to talk to your local Red Brand dealer to help determine the best fence style for your needs.